The Gabion Water Fountain is actually inspired by the Gabion method born in Egypt, used as soil retention on the river Nile. The intent with the Gabion Water Fountain is to use the sculptural quality and interesting organic texture of the form to create a new functional design while maintaining the traditional use of the method. 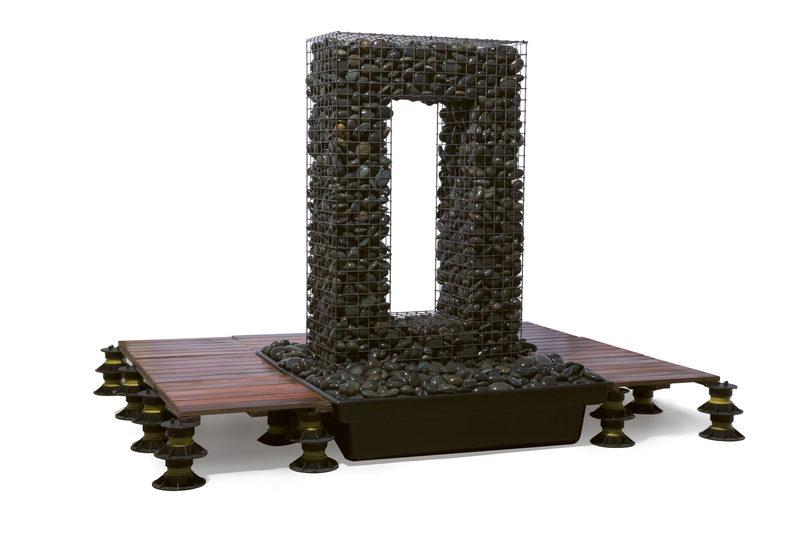 Adding this piece to your garden will surely give you a modern twist on a ancient design. If you discover a defect, while using the product as recommended, we will repair product, if repair is not possible, we will replace the item.